Ok, so EPCOT didn't turn out to be the "Experimental Prototype Community Of Tomorrow" that Walt envisioned. But it still has his spirt, his sense of optimism and wonder. It is still something for the Mouse to be proud of... even if over the last decade or so they've not treated her well. The Walt Disney Company spend 1.4 Billion dollars to build it... I want to sound like Dr. Evil saying that. In 1982 that was a lot of money. Well, it's still a lot of money, just not near as much as it was then. The Mouse hasn't spent anywhere near that amount on a theme park since. The only company that has spent those kinds of numbers to create elaborate Disney attractions is the Oriental Land Company... the only company other than the Mouse with the right to build Disney attractions. When WDW's Third Gate, Disney-MGM Studios was built in 1989 it cost of less than 800 million. The fourth gate, Disney's Animal Kingdom was around 800 million(after cutting the "Beastly Kingdom" section) when it opened in 1998. The Second Gate in California, Disney's California Adventure was 650 million(after Pressler ordered Braverman to cut the budget by a third) in 2001 and Disney's investment in Hong Kong Disneyland in 2005 which cost 3.5 billion was in the hundreds of millions... 314 million dollars to be exact, with the Hong Kong Government footing the rest of the bill . I won't mention Walt Disney Studios Paris which opened in 2002, because I don't consider it having a budget, especially if you've seen it. But enough of that... that's old hat. We're in a new time with lots of exciting things happening to the Mouse. The future of the Second Gate at America's Second Disney Resort's is positive and full of promise. Ironically, just like Walt was. Fitting, don't you think? 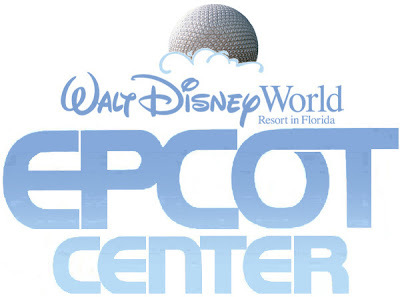 Happy Birthday, EPCOT Center! I like saying that... I really do. What a great birthday wish! Happy birthday EPCOT!